How to Use Edge Settings on Galaxy S8 Plus - You can easily access your favourite apps, tasks, contacts, and more from various Galaxy S8 Edge panels. Get the best Galaxy S8 Edge settings here, even when the screen is turned off, you can view information, such as news, missed calls, and message alerts, and view the night clock on the Edge screen. Drag the Edge panel handle towards the centre of the screen. Swipe to the left or right to switch between the Edge panels. 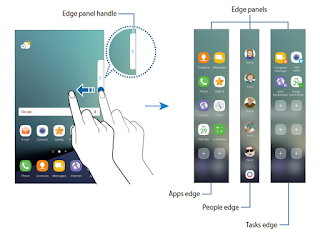 If the Edge panel handle is not visible, open the Apps screen, tap Settings → Display → Edge screen, and then tap the Edge panels switch to activate it. Select panels to display on the Edge screen or edit them. Drag the Edge panel handle towards the centre of the panel. Tap gear to open the Edge panel settings screen. Tick Edge panels to display. To edit a panel, tap EDIT. To download additional panels, tap DOWNLOAD. To rearrange panels, tap : → Reorder and drag left-right to another location. You can change the location, size, or transparency of the handle. Then, tap settings → : → Handle settings. Galaxy S8 Plus Quickly launch frequently used apps. 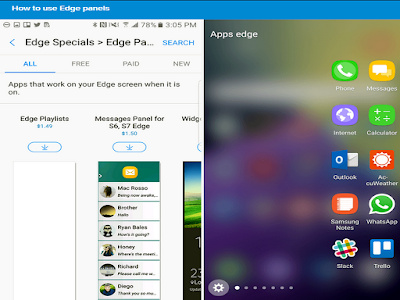 Swipe to the left or right to open the Apps edge panel. Select an app to launch it. To add an app, tap + on the panel and tap an app from the apps list. To create a folder on the panel, tap + on the panel, tap and hold an app from the apps list, and then drag it over another app on the Apps edge panel. Drop the app when a folder frame appears around the apps. To delete an app, tap and hold an app on the panel and drag to Remove at the top of the panel. To change the order of apps, tap and hold an app and drag it to another location. Add favourite contacts to the People edge panel to quickly contact them and view notifications received from them. Swipe to the left or right to open the People edge panel. How to Add Favorit Contact into Edge Panels? Select a colour by tapping + and select a contact to add. To change the order of contacts, tap and hold a contact icon and drag it to another location. To delete a contact, tap and hold a contact icon and drag it to Remove at the top of the screen. You can also edit the People edge panel by tapping gear and then tapping EDIT under the People edge. To change the assigned colour for a contact, tap the contact’s colour icon. When there is a missed notification from a contact in the People edge panel, a tab with the contact’s assigned colour will appear on the Edge screen. Drag the tab towards the centre of the screen to view the details. You can directly reply to the contact by tapping one of the communication options. Open the People edge panel and tap a contact. The communication buttons will appear on the screen. Tap the desired button to call or send a message to the contact. The Edge screen lights up when you receive a call or notification while the device’s screen is facing downwards. On the Apps screen, tap Settings → Display → Edge screen, and then tap the Edge lighting switch to activate it. If you activate the People edge feature, the Edge screen lights up with an assigned colour when you receive a call or a notification from your priority contacts. You can reject incoming calls using custom rejection messages. While the device’s screen is facing downwards, hold your finger on the sensor on the back of the device for two seconds to reject calls. On the Apps screen, tap Settings → Display → Edge screen → Edge lighting → Quick reply, and then tap the switch to activate Galaxy S8 Plus Edge Lighting. Galaxy S8 Plus Tutorial to edit the default rejection message, tap the message text under Quick reply message. You can send images, live emoticons, and other fun messages to your friends. You can use this feature only when the recipients have activated this feature. 1) Tap O on the People edge panel. A list of your contacts who have activated the OnCircle feature will appear. 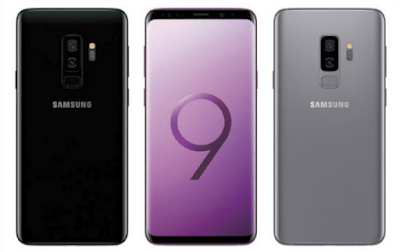 If the icon O does not appear on the People edge panel or if you want to customise the Galaxy S8 settings, tap gear, tap EDIT under the People edge, and then tap the OnCircle switch to activate it. To use this feature, your phone number must be verified. 2) Select a contact from the list. 4) Tap your contact’s profile image several times or draw patterns on it to send fun messages, send live emoticons, send handwritten messages, short video clips, or drawings. 5) Tap send to send messages. Quickly perform frequently used tasks, such as composing messages and creating events. 1 Drag the Edge panel handle towards the centre of the screen. 2 Swipe to the left or right to open the Tasks edge panel. 3 Tap a task to perform it. • To add a task, tap + on the panel and tap a task from the tasks list. • To delete a task, tap and hold a task on the panel and drag to Remove at the top of the panel. • To change the order of tasks, tap and hold a task and drag it to another location. You can also edit the Tasks edge panel by tapping gear and then tapping EDIT under the Tasks edge. Edge feeds is Real-time news, missed calls, message alerts, and other information can be displayed on the Edge screen when the screen is turned off. Set information to display on the Edge screen. On the Apps screen, tap Settings → Display → Edge screen. Tap Edge feeds and tap the switch to activate it. To edit a feed, tap EDIT. To download additional items, tap DOWNLOAD. To rearrange items, tap : → Reorder. Then, tap and hold < > on an item and drag it to another location. 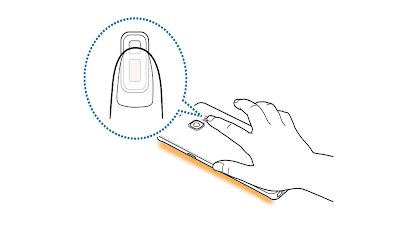 With the screen turned off, swipe upwards then downwards or vice versa on the Edge screen to turn it on. Swipe to the left or right on the Edge screen to view the Edge feeds. The Edge screen turns off if the device is not used for a specified period. To change the Edge screen’s time-out setting, open the Apps screen and tap Settings → Display → Edge screen → Edge feeds →: → Edge feed timeout. When Edge feeds are active, you cannot use the Always On Display feature. Keep the clock on the Edge screen active to view it at night. On the Apps screen, tap Settings → Display. Tap Night clock and tap the switch to activate it. Set the duration that the night clock remains active. To set the location of the night clock, tap Night clock position and select a side. The night clock feature can be set for a maximum of 18 hours. The night clock feature will be deactivated when the battery power level drops below 5 %. When the night clock is active, you cannot use the Always On Display feature. Stay update with us for the best Galaxy S8 Edge and S8 Settings.